This entry was posted in Humour, The Absurdities of Modern Life, Travel and tagged advertising, airline food, coffee, exaggerated claims, humour, Ryanair, travel. Bookmark the permalink. 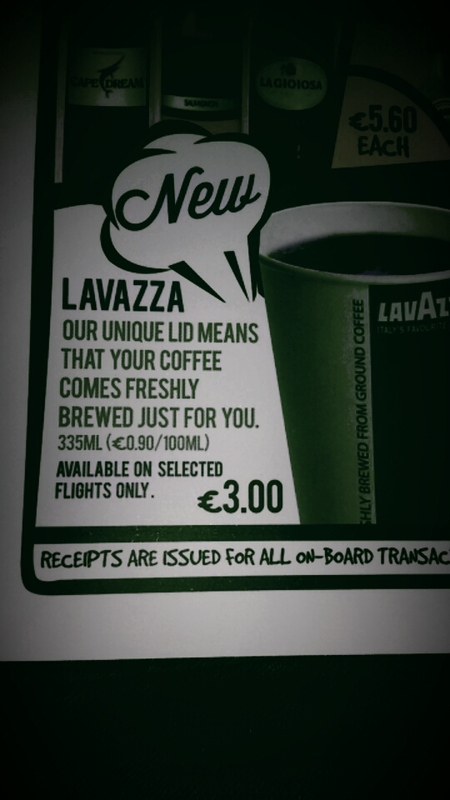 I’ve always thought that Lavazza, of all the overpriced coffees, is THE most over priced. Not because it’s the most expensive, but because for the price, it’s the most mediocre. I love coffee, but mostly, I love MY coffee. Or Garry’s coffee. Because we now how to make a good pot of coffee. Starbucks tastes burnt. 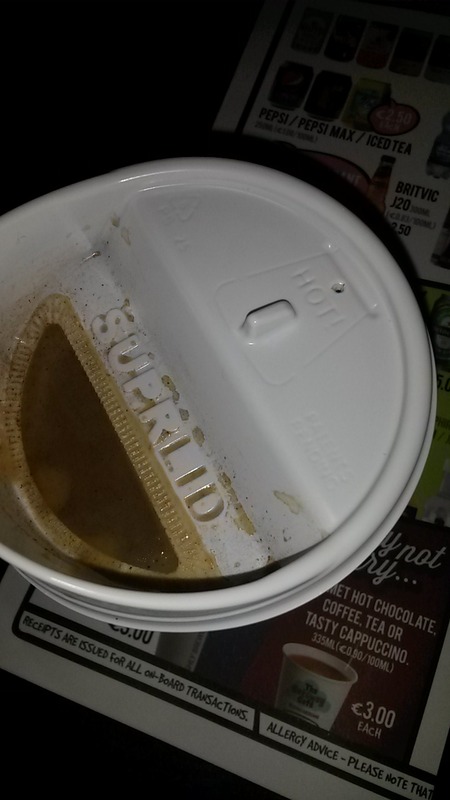 Labazza tastes like dirty water with a hint of coffee. Dunkin Donuts gets it right about 50% of the time, the rest of the time it’s weak. I’m a coffee snob. Yet, in a pinch (or an airplane), I’ll drink anything. Addicted is addicted. Lavazza is our “service along the highway” coffee. If you don’t want to get off the main road to look for someplace better, you get Lavazza. I haven’t been ON an airplane in about 7 years. I guess a few things have changed. Lavazza is probably an improvement. I’m more a tea man myself. Coffee always smells better than it tastes. But when you’re in the decompression chamber of a charter plane’s cabin after spending two hours im an air conditioned complex prior to queuing and checking and xrays and swabbing (the joys of post 9/11 flying), anything with taste seems to work, irrespective of the taste! But ‘specially brewed just for you’ – gtfoh!